Flowering Date Midsummer to fall. 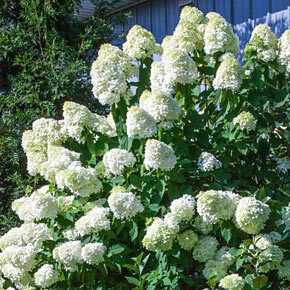 Vigorous and upright, this impressive rounded-form shrub is covered in large clusters of creamy white florets that mature to chartreuse green in the midsummer weeks. As fall approaches, the dense flower panicles change to deep pink for an altogether different look. Sturdy stems keep the flower heads upright and visible through any kind of weather. 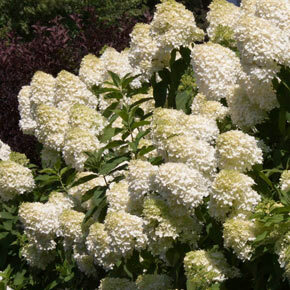 Robust plants can reach a height of 13 feet and will be loaded with 8-12" flowers in no time. 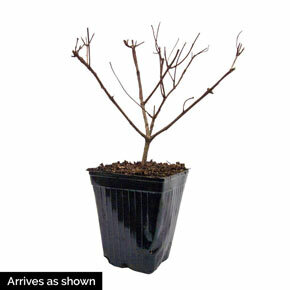 Perfect for a mass planting, mixed shrub border or as an anchor in a woodland garden. 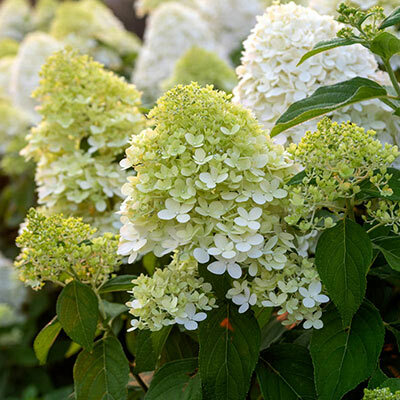 Does best in moist, but well-drained soil. Blooms on new wood—prune in late fall to early spring for increased flowering. Flowering Date: Midsummer to fall. Winter Care: None, except to mulch in northern zones the first winter if fall planted. Flower Form: Almost all are sterile, forming large, upright, dense, cone-shaped terminal panicles, 6 - 12" long. 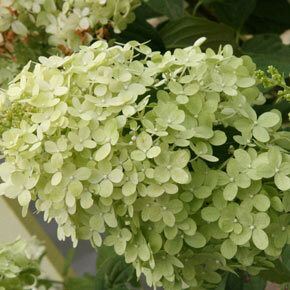 Foliage Type: Oval to ovate, serrate, dark green, up to 4" long. Pruning: Blooms on new wood - prune in late fall or early spring. Very tolerant of a hard pruning. Will reward you with increased blooms. Late fall or early spring. Soil Requirement: Well-drained, organically rich, moisture retentive soil. Not picky about soil pH. Additional Information: Hybridized by noted plantsman Pieter Zwijnenburg.